I've spent the last few days down south visiting my parents and as I told you in this blog post we were planning to roadtrip trough Denmark for my mums 50th birthday BUT change of plans! We are going to Poland instead! And I'm very excited since that's a country I've never visited before. We are not traveling until April but I can't wait! We are going to Gdańsk in the north of Poland and we are staying for three nights and I will definitely do a review of the hotel. Gdańsk is the capital of the Pomeranian Voivodeship. Gdańsk has a population of 460,000+. The city used to be a part of Germany. The St. Mary’s Cathedral in Gdansk is the largest brick church in Europe, with a capacity of 25,000 people. Just like I did before my trip to Edinburgh I will write a post about our plans and my expectations so if you've ever been to Gdansk and know where to eat, what places to visit and so on, PLEASE tell me in the comments since as of right now we have zero plans and neither of us have ever been to Poland before! The only thing I knew before hand about Poland is that food and drinks are very cheap and you can get a really nice meal for almost nothing. I don't know how true that is, I guess I'll have to wait and see! 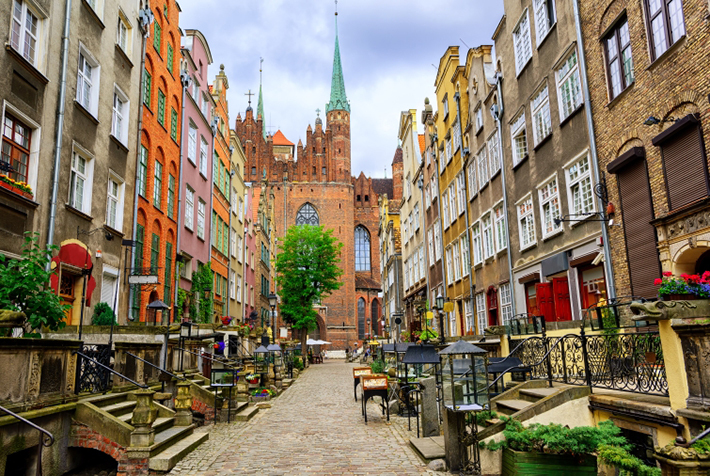 Gdańsk has in recent years become a popular tourist destination so that will probably affect the prices there but I do not doubt that it still will be cheaper than in Sweden, which is my home country. I'm really looking forward to discovering this gorgeous city with my family so stay tuned until April and follow along! As I wrote earlier; if you have any recommendations please hit me up in the comments or in Instagram DM's! Stroke of Adventure is a travel related blog, Instagram and YouTube-channel. Stroke of Adventure was founded with the purpose for me to share my adventures (both big and small), tips and other things related to travel. SOA is written by me, Mie, and I'm a 20 y/o traveler, student and photographer from Sweden. You can read more about me if you click "About me" in the top menu. Welcome to Stroke of Adventure. Come travel the world with me.